Automated fare collection is now widely used in many sectors - bus, rail, ferry, road toll, parking, fast-food establishments and even convenience stores. It provides faster transactions, more affordable operations, and more efficient collection. 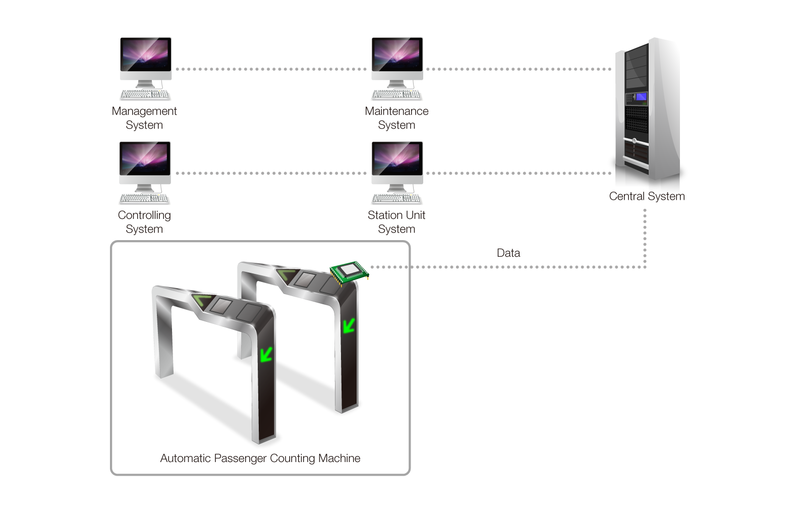 Take a look at an example of automatic fare collection system where Sollae Systems' serial Ethernet/WLAN device server is applied to automatic ticket gates of subway or railroad. Sollae Systems’ serial device servers connected to turnstiles in public transport stations such as subway add network connectivity and allow independent communications with the central system. Therefore, it is more convenient to collect fare and manage enormous data of daily passengers. In the case of using a commuter card, information about the day of beginning to use, entering the station, and arrival station are recorded automatically which allows for more convenient and efficient management.